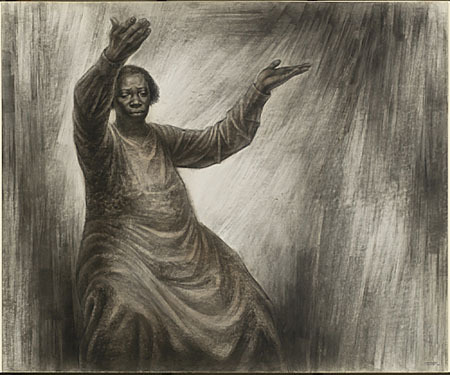 This art exhibition illustrates the critical role that African American artists played in shaping the history of American art. It features seven thematic sections and one changing exhibition gallery. Works include paintings, sculpture, works on paper, art installations, mixed media, photography, and digital media. The history and relevance of each work are available to visitors through a multimedia platform.